Providing you the best range of prefabricated modular house, prefabricated portable cabin, prefabricated shelters, prefabricated site offices, prefabricated steel buildings and prefabricated temporary warehouse building with effective & timely delivery. 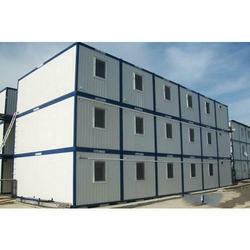 Prefabricated Portable Cabin offered comprises the best designed cabinet in terms of stable usage and design aesthetics. These are developed as per the specifications provided by the customers and are developed using superior grade steel frames as well as suitable insulation support as demanded by the customers. Some of its features include superior powder coated steel for lasting usage and protection against corrosion, environmental friendly cabin option, can be offered in customized designs, are easy and quick to construct and install, fireproof, heat/cold-insulated finish, use of new building materials for safe usage among others. Prefabricated Shelters offered come in precision construction finish and can be fabricated as per the engineering drawing of steel structure part specifications provided by the customers. Our rich experience in this field also allow us to ensure that solutions offered are long lasting. 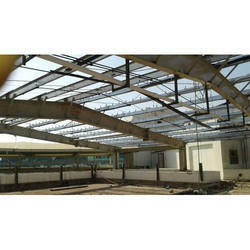 Some of its features include specialization in handling steel structure projects, can prefabricate different types of steel structures, can provide support of accessories like windows and doors, fast and flexible to assemble structures, provide for secure and safe usage, provide for water proof and fire proof usage, suitability for use as exhibition halls, warehouses, garages, workshops, office –buildings among others. 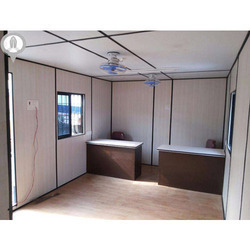 Prefabricated Site Offices offered can be made available by us in durable construction finish as well as in exact specifications as demanded by the customers. Our specialization in field of handling steel structure fabrication projects as well as site erection expertise has also helped us to gain support from our customer. Some of the features include rich experience in civil construction design that provides for quick end results, processes backed by well defined quality control system for ensuring long lasting structures, all materials used like C beam, Z beam, H-shaped steel and others are quality tested for suitable usage. Prefabricated Steel Buildings offered comprise light weight and heavy load bearing structures that come in integrated design finish as well as are also fast to install. 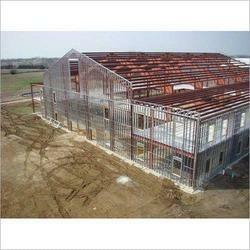 Further, these steel building structures also come with advantages of fire-proof finish as well as superior insulation support from heat/cold. 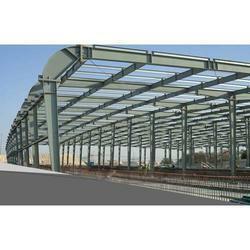 Some of its features include expertise in offering different types of light steel construction, durable framework finish, provide for safe and easy usage support, rich experience in fabrication of structures like warehouses, workshop, temporary offices, low foundation costs, time-saving and labor saving options, provide for beautiful finish appearance. Nursery businesses are making use of Prefabricated Temporary Warehouse Building. They are an economical solution that can provide seedlings, plants, and flowers to customers. Indoor growing provides harsh element protection. 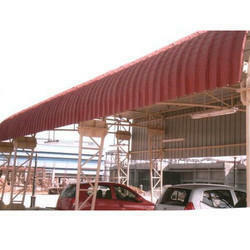 Looking for Prefabricated Structures in Mumbai ?